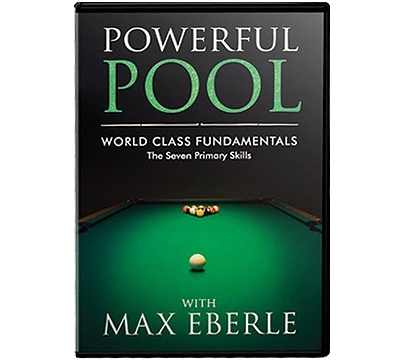 In Max Eberle’s 3-disk DVD set Powerful Pool, he opens up his treasure chest of hard-earned knowledge, including precise body mechanics, timing, and the training it takes to play pool with both consistency and results. You’ll learn about super solid stance, body direction, center ball skill, eagle eye aim, devilish draw, and much more. This 3 Disc DVD set runs approximately 4 hours and 40 minutes.